Royal Orchid Sheraton Hotel & Towers launches The Journey of Love 2019 – Honeymoon in Venice Giveaway – A dream honeymoon in Venice will be awarded to the lucky couple who win the drawing. The winners will be chosen from among those couples who have their wedding celebrations at the hotel in 2019. Imagine the love and sheer bliss of being on a honeymoon surrounded by the exquisite old-world charm of Europe. Be it kissing on a gondola ride along glistening waterways or falling in love with the romantic hues of the sky, as the sun goes down at St. Mark’s Square. What could be a more ideal place to spend a romantic Italian honeymoon? From 10 January 2019 – 31 December 2019, every couple with a confirmed wedding booking, that has paid full amount of wedding package fees to the hotel, will immediately be entitled to enter The Journey of Love 2019 lucky draw campaign. One lucky couple will receive the grand prize, including a pair of economy class round-trip air tickets between Bangkok and Venice and 4-night hotel accommodations for two persons. All wedding couples will also receive special wedding package discounts and complimentary rooms in a selected wedding package. 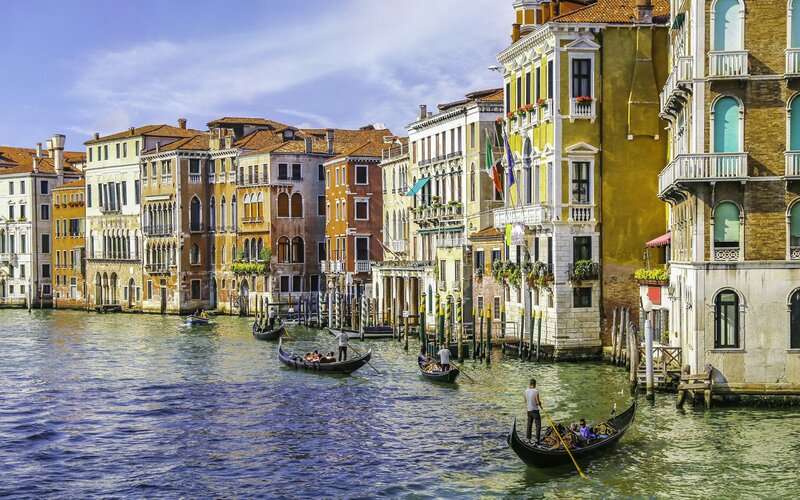 Every couple who enters the campaign from 10 January 2019 – 31 December 2019 will have the chance to win a pair of economy class round-trip air tickets between Bangkok and Venice, including 4-night hotel accommodations in Venice, with daily breakfast for two persons, with a total value of THB 218,000.